Bosch expects its auto unit's sales to return to pre-recession levels by 2012. Editor's note: This report has been corrected to say that North American sales grew 10 percent, not U.S. sales. North American sales of Robert Bosch LLC's automotive-dominated Mobility Solutions unit grew nearly 10 percent to $8 billion in 2014, the company said today in a press release. Mobility Solutions, formerly known as Automotive Technology, provides technology for automobiles, railways and other transportation applications. Bosch engineers have been working on automated driving since 2011 in two locations: Palo Alto, Calif., and Abstatt, Germany. Bosch’s Automotive Aftermarket division last year launched a mobile tour called the Bosch Xperience. Three vehicles made stops throughout the U.S. to give sales and service professionals virtual rides inside Bosch systems using virtual reality goggles. In all operations, Robert Bosch LLC, the North American operations of the Robert Bosch Gmbh industrial conglomerate, reported sales of $11.3 billion in 2014, an 8.7 percent increase. 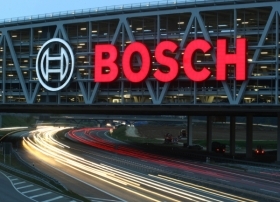 That accounts for 17 percent of the Bosch Group’s $65 billion global sales last year. Bosch invested 177 million euros ($235 million) in North America last year, or about 11 percent of the 2.6 billion euros the company spent globally. Bosch expects global sales to grow 3 to 5 percent in 2015. The company did not break out its outlook for automotive operations separately. As of April 1, Bosch employed 28,700 people at more than 100 locations in North America, according to the press release.